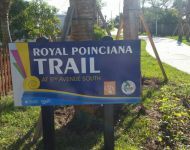 In 2013, the City of Lake Worth (with the CRA acting as the primary sponsor) applied for and received over $700,000 from the Florida Department of Transportation to be used for construction and engineering costs to build a new 1500’ linear bikeway and pedestrian trail along the 5th Avenue South right-of-way from South ‘A’ Street to South ‘F’ Street. 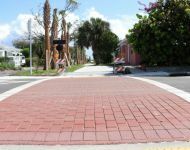 The City and CRA identified the 5th Ave. South unimproved right-of-way as an excellent location to redevelop into a new open space featuring native landscaping, benches, bike and walking path and raised crosswalks at the intersections. 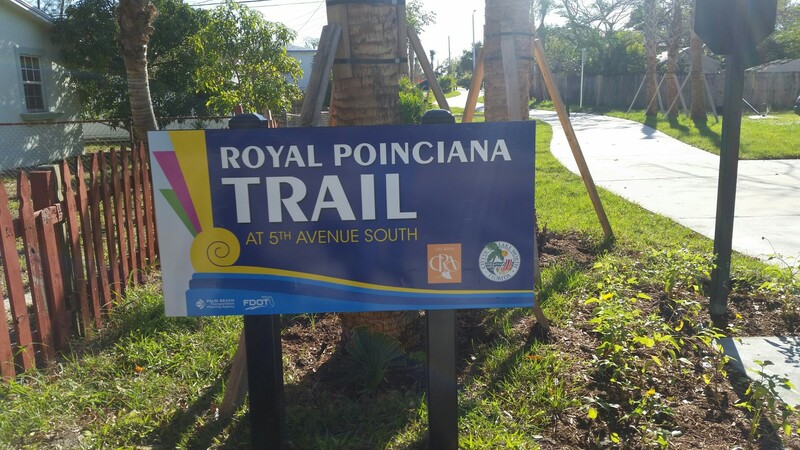 To make this project possible, the CRA obtained support from the neighborhood associations, the Rotary Club of Lake Worth and various members of the public as we reached out and obtained community collaboration. 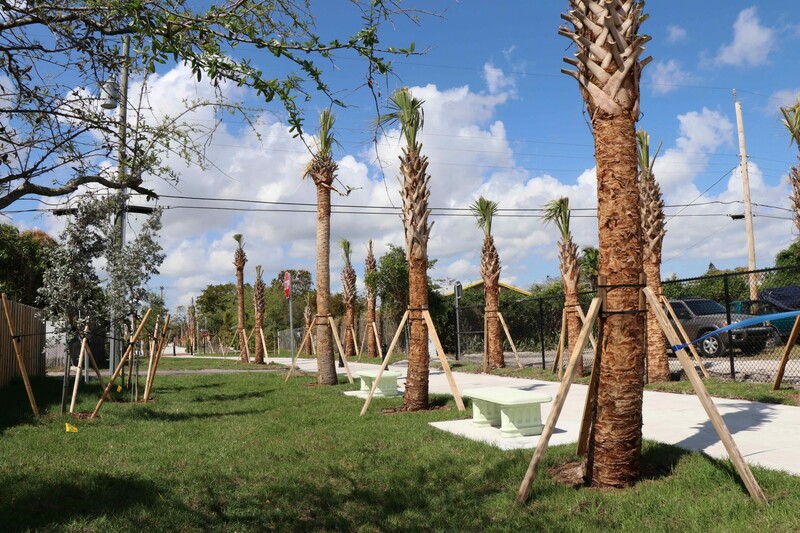 The goal of this project was to foster connections between all members of the Lake Worth community and to guide students who would normally traverse on 6th Ave. South to use this bikeway instead. 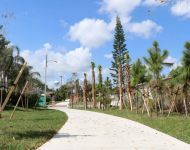 A new 10’ wide concrete pathway stretches 1/3 of a mile (1500’) through the Royal Poinciana Neighborhood. 4 new vehicular speed control humps at cross streets with solar powered illumination detectors (lights) and plenty of new signage for enhanced pedestrian safety. New decorative bollards, park benches, garbage cans and bike racks. 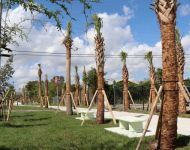 Over 160 new native trees were planted, including: sabal palms, gumbo limbo, silver buttonwood, slash pines, live oaks, thatch palms, beach sunflower and drought tolerant bahia grass. A new solar powered irrigation system was installed. Removal of some unnecessary overhead electrical wires. Multiple exfiltration trenches were installed in order to provide excellent drainage. 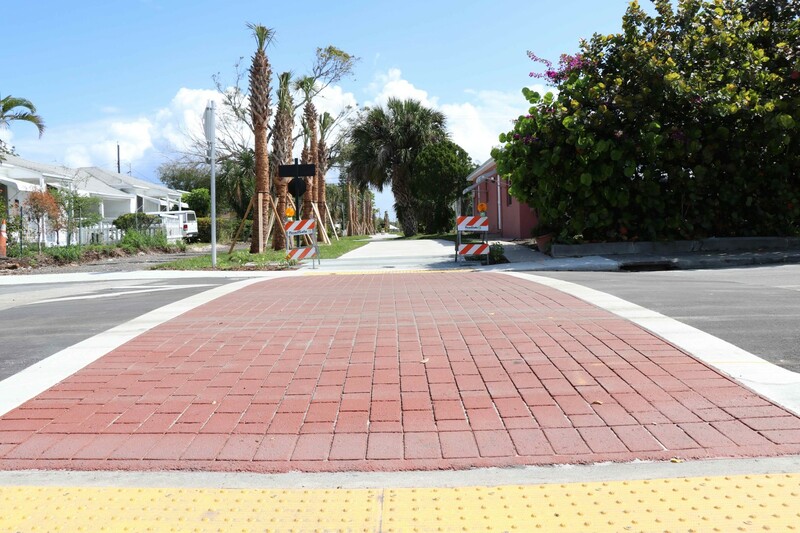 Provides for safer travel for neighborhood children getting to and from Lake Worth High School. 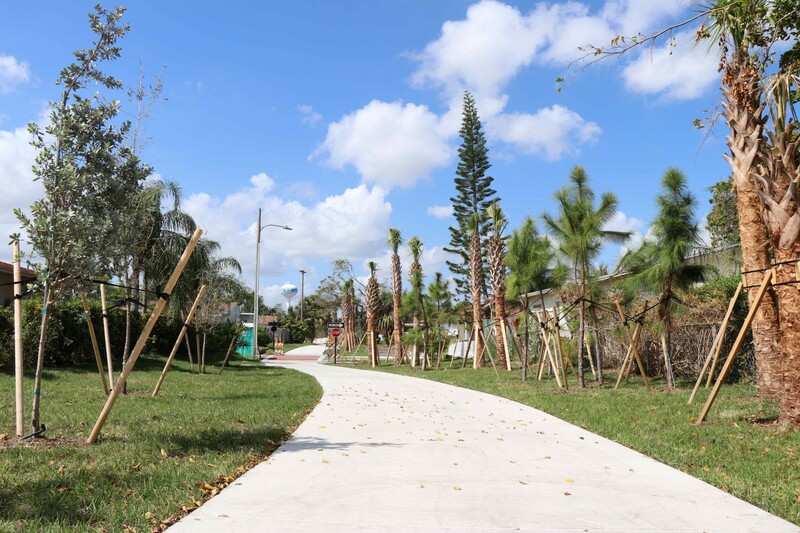 This project, which was completed on-time and under budget, has been a welcomed addition to the area and is heavily used by the residents. 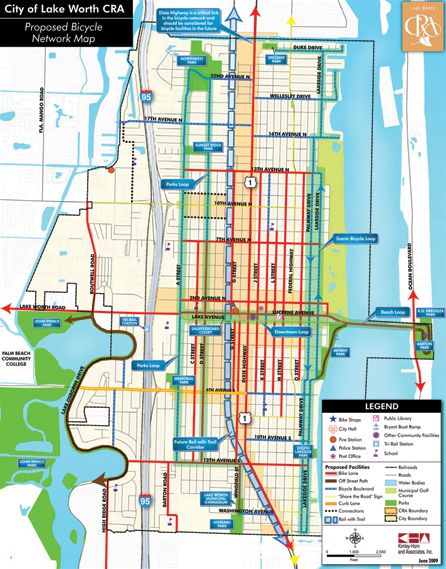 Map of the Bicycle Network. Palm Beach Post article about the new bike lanes.